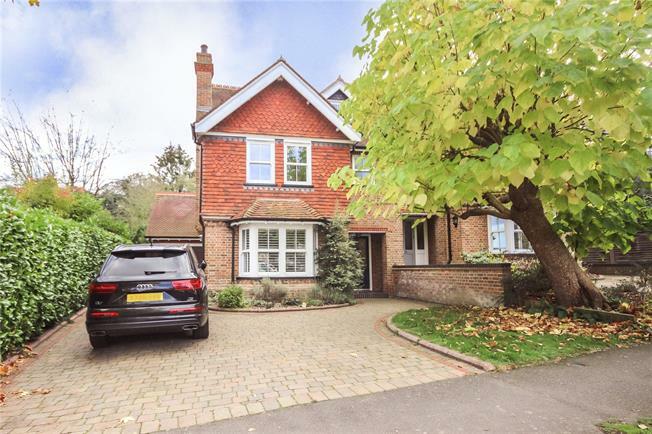 4 Bedroom Semi Detached House For Sale in Harpenden for Asking Price £1,250,000. The property is conveniently located within walking distance of the centre, station and several outstanding state schools. The house is arranged over three floors boasting two en-suites, a family bathroom and is double glazed throughout. On the ground floor there are two reception rooms and a well fitted good size kitchen/diner opening onto a beautifully landscaped rear garden.